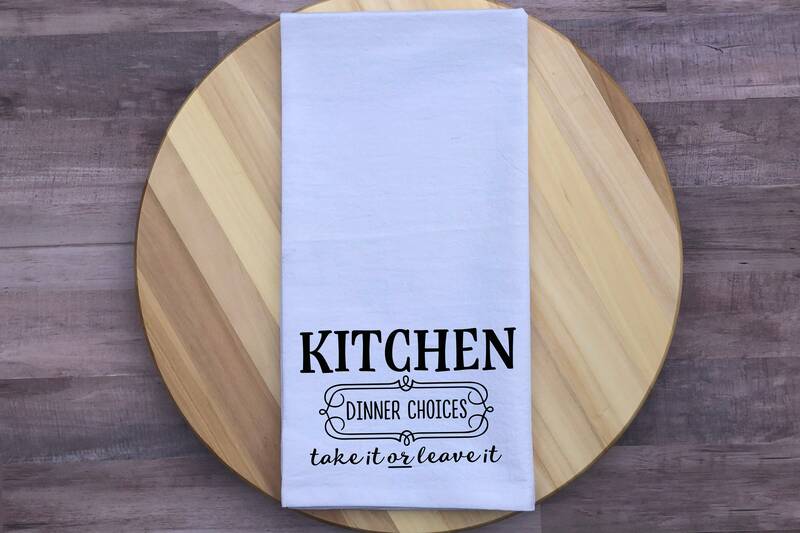 Make sure everyone who enters your kitchen knows that you serve two dinner choices each night - "take it or leave it." Each towel measures 27 inches by 27 inches and is made of 100% white cotton with black lettering that is applied by professional heat press. These towels make great housewarming gifts, hostess gifts and wedding gifts!